Alternative modes of service delivery are an important institutional choice available to local governments across the country, but the way they are being used may create issues of transparency and accountability to the public. The state of New York enabled the creation of special purpose entities called local development corporations (LDCs) with the purpose of providing services in economic and community development. LDCs are nonprofit corporations created by local governments of general purpose such as counties, cities, towns and villages, pursuant to the provisions of article 14, Special Not-for-Profit Corporation, of the New York Not-for-Profit Corporation Law. They combine features of nonprofit corporations with governmental powers. Depending on how close they are related to local governments, LDCs can be classified as either public authorities, falling under the umbrella of the New York State Authority Budget Office (ABO), or as private nonprofit institutions with have no public accountability requirements. Currently, there are 315 LDCs with public authority status in the state of New York, according to the New York Authorities Budget Office. Their true number is unknown, as LDCs can be easily created under NY State Statute 1411, and they are difficult to track since the ABO is not notified when new LDCs are created. Why are They Attractive Institutional Choices? LDCs are semi-autonomous from their parent local governments. They have a board of directors whose members are initially appointed by elected officials but, subsequently, things can change. They can borrow money and issue bonds without voter approval. LDCs activities have a broad focus. They have been created for the following purposes: to improve job opportunities, to reduce unemployment, to train the potential and current workforce, to conduct research that attracts new or retain existing industry into the community, to lessen the burdens of government and act in the public interest. LDCs are granted special powers by the state. Among other things, such powers refer to the construction, acquisition and rehabilitation of real estate and industrial capital assets; assisting with financial contributions to such developments, borrowing money and issuing negotiable bonds, disseminating information and providing technical assistance; acquiring of real or personal property, and assisting with disposal of property. LDCs may acquire public property without appraisal. They can receive public property from local governments pending a public hearing but without a competitive bidding process or a fair market assessment (with few exceptions). LDCs may award contracts without bidding. They are not subject to public procurement laws that require a competitive process for contract awards. What are Some Challenges and How to Address Them? 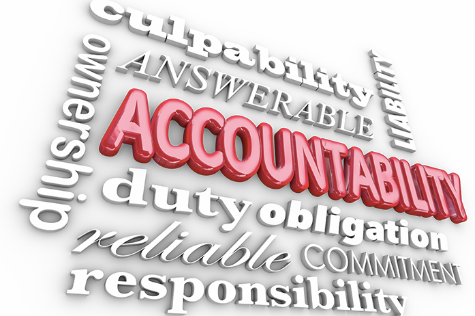 Accountability Issues. LDCs are organized as private, nonprofit corporations with the aim of serving a public purpose. This combination of a public purpose with private means raises issues of accountability and transparency to the public. Public responsibility seems to have been placed on nonprofit institutions with limited state oversight. Through the creation of the Authorities Budget Office (ABO) government has attempted to make public authorities more accountable to the public interest. LDCs with public authority status are required to file their mission statement, financial reports, performance measurement reports, debt reports and property disposition guidelines with the NY Authorities Budget Office. Additionally, LDCs classified as public authorities are subject to the state’s Freedom of Information or Open Meetings laws requiring documents and gatherings to be open to the public. As nonprofits, many LDCs file Form 990 tax returns with the Internal Revenue Service, which may be available to the public upon request. The State of New York could do more and require all LDCs to file their certificate of incorporation with ABO so that the letter can decide if they are a public authority or not. Abuse of Function. The state provisions allow LDCs to perform any activity that would lessen the burdens of government. There were instances in which such nonprofit corporations expended their area of activity to telecommunications and tourism. If LDCs are based on the idea of local self government and are fulfilling economies of scope rather than scale, state law should clearly delineate their functions. Circumventing debt limits of local government. Some LDCs are not complementing the service gaps of local governments as originally envisioned by the state statute. Rather, the former are issuing debt for the latter. In this case, governance seems to have shifted from local governments to these nonprofit corporations. To address this issue, the state may place debt caps on LDCs as well. Disclosure Issues. Since LDCs may purchase or lease property from local governments without fair appraisal or public bidding, information relating to property acquisition should be disclosed to the public. In conclusion, nonprofit corporations can be extremely helpful institutional mechanisms for delivering services in economic and community development but caution should be used in their use. They can benefit local governments in terms of the former’s organizational and financial flexibility. For better or worse, LDCs are here to stay. Addressing some of the challenges they currently pose, might make government more transparent and more accountable. As various forms of public/private partnerships emerge for addressing public needs, it is important to include an analysis of public/nonprofit partnerships. This analysis of the potential and challenges of New York’s LDCs is a good start for improving LDCs usefulness and accountability for supporting community development and input. Well done!